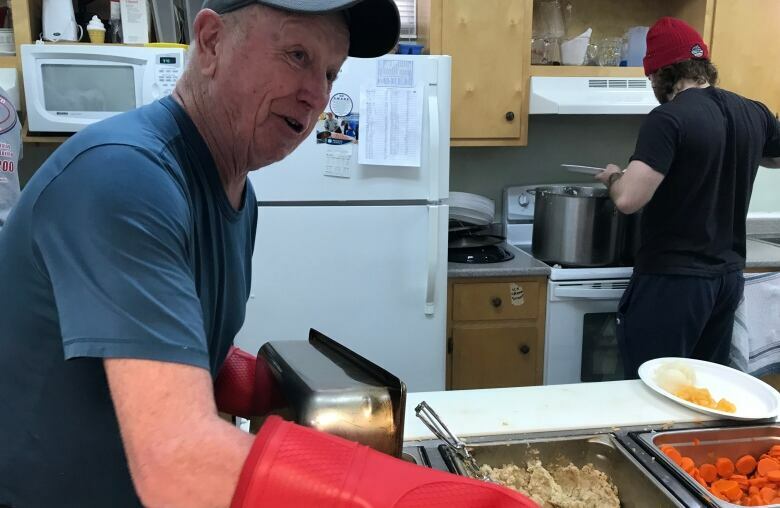 For 33 years, the Glace Bay food bank and soup kitchen have been serving a full turkey dinner to clients. 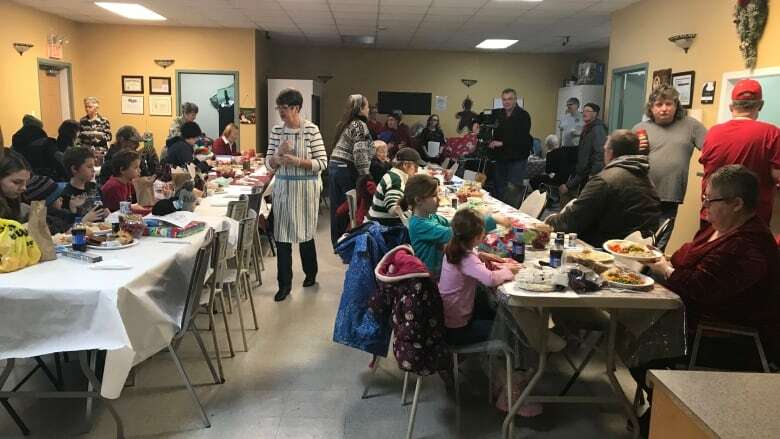 There were smiles all around Thursday as the staff and clients of the Glace Bay food bank and soup kitchen enjoyed a Christmas dinner together. The cook at the soup kitchen, Ted Morrison, said despite his calculations, he may have cooked a bit too much food. "You just have to make sure you calculate right," said the retired schoolteacher. Last year, Morrison and the other volunteers served 170 people at the annual turkey dinner. He expected at least 250 this year. "I think I've got enough now for 500." Morrison said the meal is important to clients, but it's important to him, too. "This is my Christmas," he said. "This gets me out of real-life situations and gets me into this life, which these people need. Like, they really enjoy the contact with somebody. "This is a family. 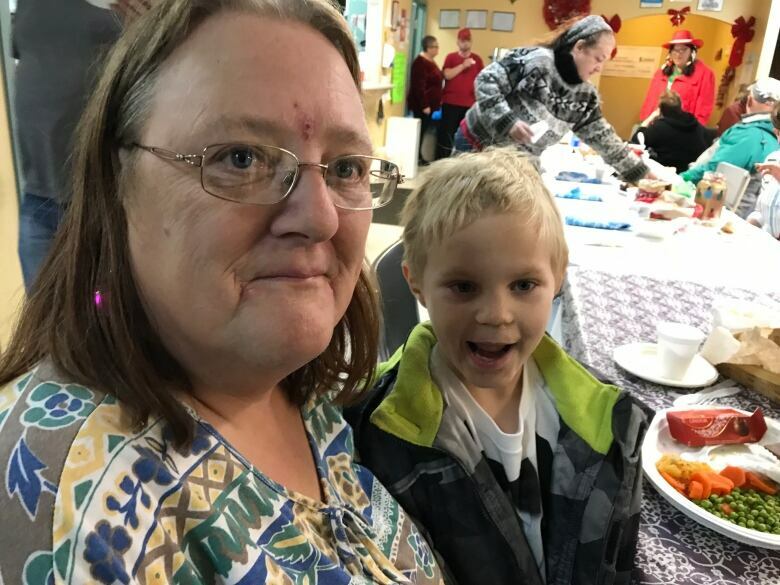 We call this the food bank family and everybody here is just wonderful." Harolyn Gourley is spending Christmas alone this year. "[The dinner is] part of my Christmas because I have a cat home, so I'm not going to be making any Christmas dinners," she said. "My family is away, so this is a good Christmas dinner for me." Christine MacKinnon has been a client for several years. "I would like to thank the workers here. They did tremendous work," she said. "It means a lot. " Sandra Trapp enjoyed the dinner with her grandchildren. "I've been here for a long time," she said. "They're great here. They help you whenever you need it. They've never said no. It's kind of like a family atmosphere most of the time." 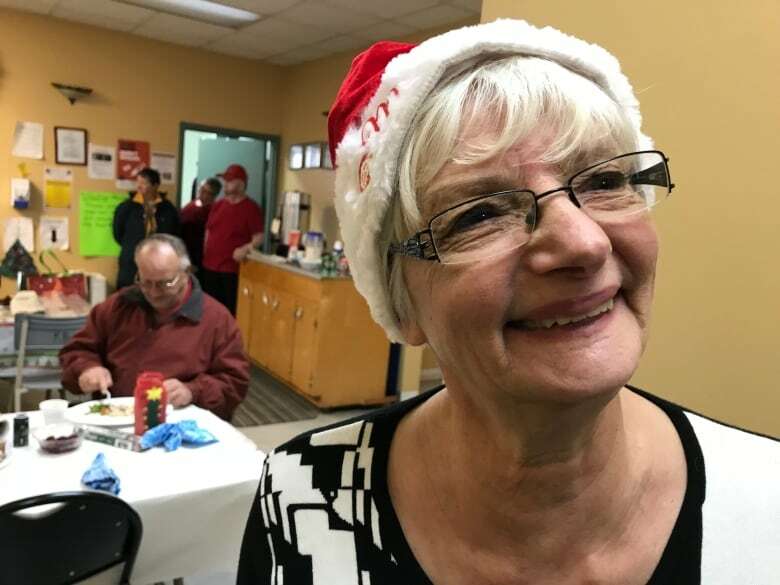 Food bank co-ordinator Sandra MacPherson said many of the clients who come every day know one another, lending an even more festive air to the gathering. "We've been hosting this dinner for the past 33 years that we've been in operation," she said. "It's just a wonderful time for us to get together and be thankful for what we have and what we're able to do." But the need remains great, MacPherson said. The food bank distributed 3,642 food hampers and served 13,000 hot meals this year.